This project includes a 300mm-diameter raw water intake pipe extending 100m into Aird Bay to draw fresh water for the new in-land low-lift pumping station. The intake pipe is secured along the bottom of the Bay, 10m below the surface. 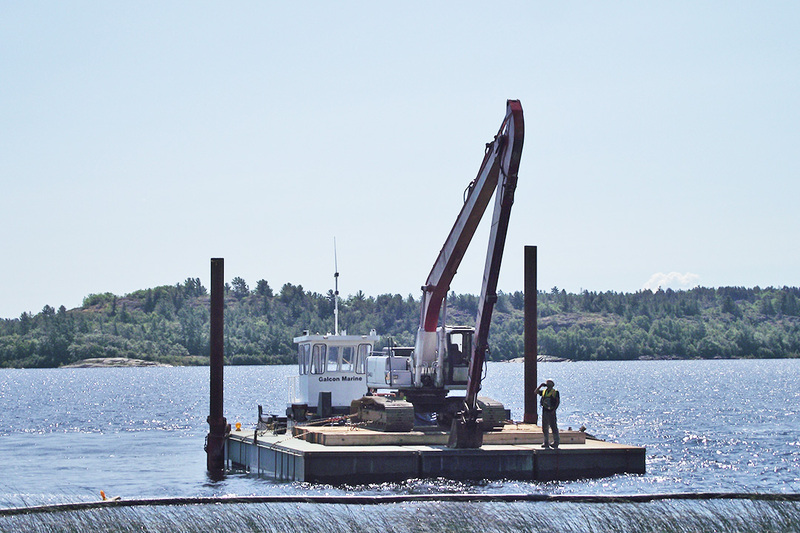 This scope required full marine construction services including a barge and commercial divers. The low-lift pump station feeds a booster station and water treatment plant, each contained in separate Insulated Concrete Form (ICF) buildings. 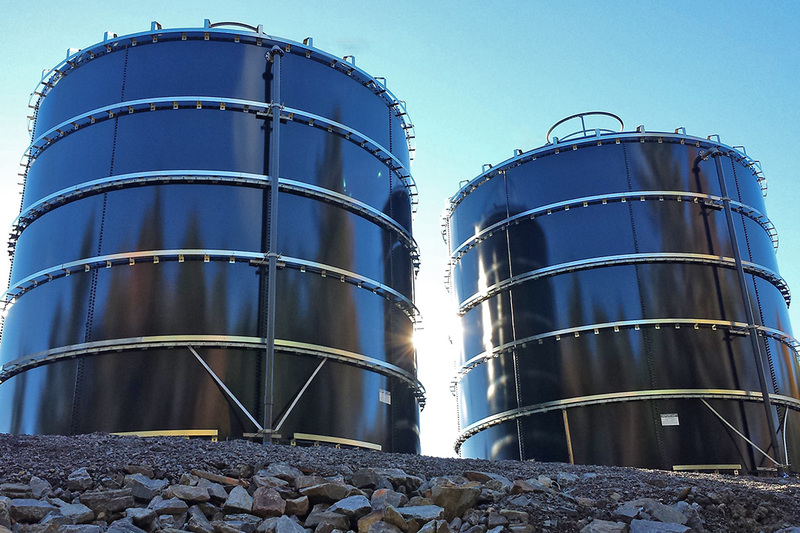 Additional concrete work included the blow-grade low-lift water tank, two process support tanks and a potable water reservoir. An 1100m water transmission line supplying the local community completes the system. Conﬁned space and hot work activities are monitored daily by the local Occupational Health and Safety Manager. 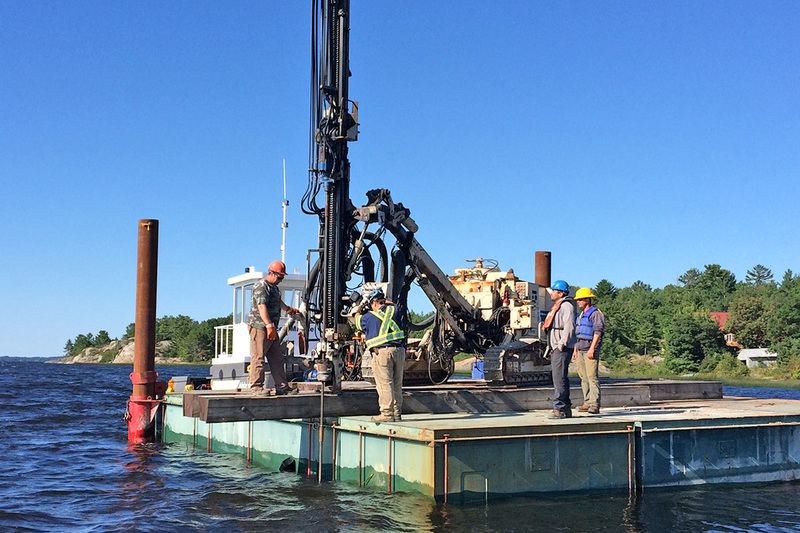 Construction activities also featured signiﬁcant blasting and dewatering operations along with decommissioning of existing wells and pumping stations once the new stand-alone process was operational.